4 Reasons to Get Off the Autobahn! For many people Germany is just a country you pass through on the autobahn, en route to your final destination. What if I told you that there are great experiences only 15 minutes away from the autobahn? I discovered this when travelling through Germany by car on my way to Italy recently. Below you will find a couple of tried and tested options, not far from the autobahn. Only 15 minutes away from the autobahn you will find picturesque Hilpoltstein, between Munich and Nürnberg. Arriving here is like arriving in the German version of Midsomer Murders. Narrow, pebbled streets surrounded by half-timbered houses with sidewalk cafés and restaurants. A quaint village, dating back to the 13th century, with only 13,000 citizens but still everything you need as a tourist available. 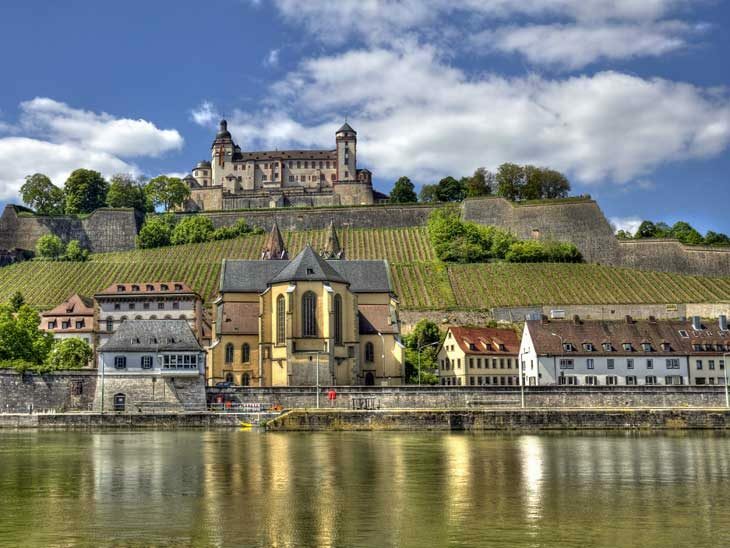 Würzburg is a small city with about 125,000 citizens, dating back to 8th century, offers the visitor both a modern and a historical part of town. In addition you will have a cathedral and a spectacular castle to visit. 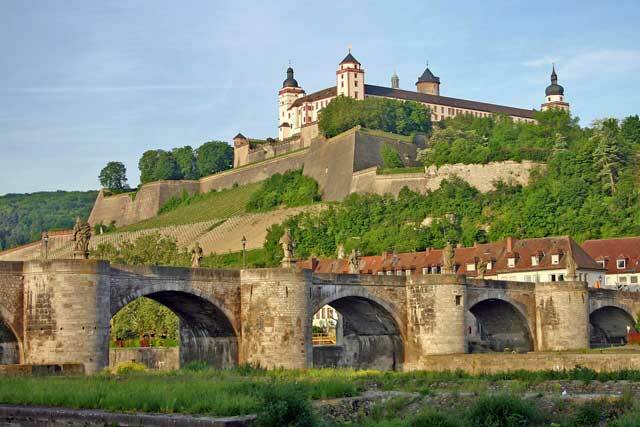 Marienberg Fortress in Würzburg is spectacular. 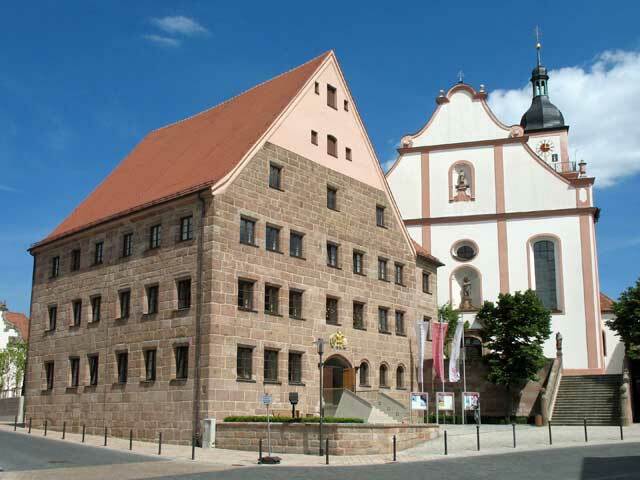 Greding is another village only 15 minutes from the autobahn where you will find a picturesque main square, half-timbered houses and several restaurants. If you are planning to pick up your new Audi at their headquarters in Ingolstadt, you are not far away from this little gem with about 7,000 citizens. 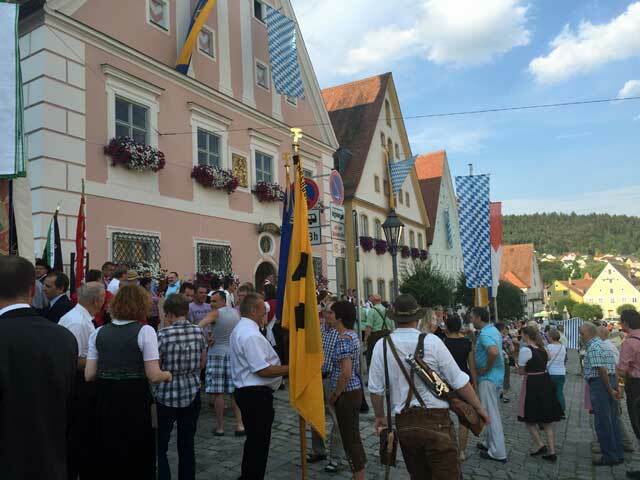 Festival outside Greding City Hall. Not far from Germany´s financial centre, Frankfurt, you will find Heidelberg. This is a university town also famous for being the birthplace of Swedish Queen Silvia. Here you will find a baroque style historical town, a fantastic castle which you can reach by road or funicular. 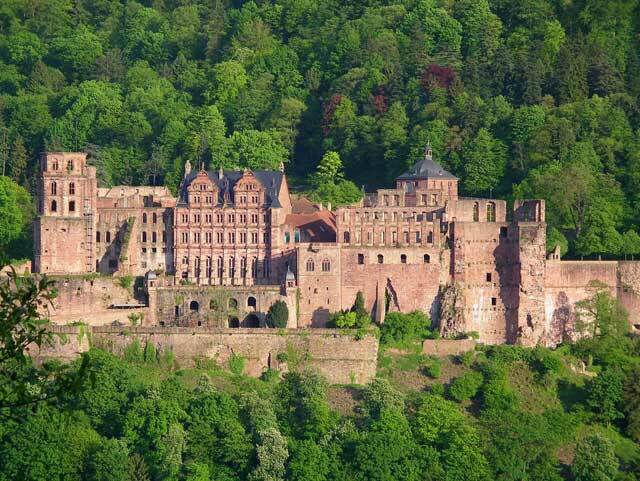 Heidelberg Castle is overlooking the city of Heidelberg. I do recommend checking out German Fairy Tale Roads and Romantic Road Germany for more inspiration on what to do and see off the autobahn. If you are near Stuttgart and interested in automobiles, you should definitely check out V8 Hotel. Germany is a fantastic, interesting destination in itself, so why not make the most of it while you are there? Do you have more great places along the autobahn worth a visit? Please share via email, in the comments below, on Twitter, Facebook or Google+. I would love to hear from you! Alcohol Ban on European Budget Airlines.